Ehrlich is described as a travel writer, poet and essayist; she’s from Wyoming and began most of her Greenland travels after spending two years recovering from being struck by lightning. Of course all of this is woven through this book so elegantly and lyrically that you want it never to end. Ehrlich is out on the ice trails in full Inuit hunter travel-mode several times in her seven trips to Greenland. She also spends substantial time in various villages in conditions that range from unheated cabins with the toilet bucket in the corner to sharing rooms with 10 or more living breathing human beings—also with a toilet bucket in the corner. She notes the grim facts of Inuit life as well as the hardiness, bravery, and kindness. One of the many things that makes this book historically important is Ehrlich’s weaving of the famed Inuit-Danish explorer Knud Rasmussen’s tales with her own. She followed his paths in many cases, explored the very ice upon which he had trod so to speak. Apparently she has closely studied his journals which makes for a doubly good adventure story as well as adding a whole new cast of characters to the Inuit and Danish people she met, made friends with and in many cases learned to love along the way. 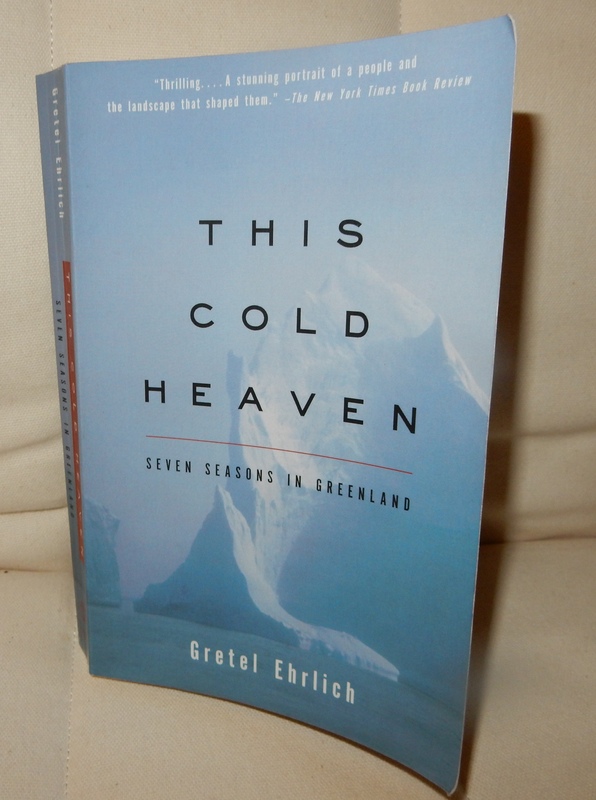 Even though most of Ehrlich’s time is spent much farther north than we will venture in July, I believe my experience of Greenland in a very small area and moment in time will insist that I read this wonderful book again when I return. Remember though, you don’t have to be going to Greenland to read This Cold Heaven: Seven Seasons in Greenland. If you have a spark of adventure in your soul, go on these journeys with Gretal Ehrlich. I promise…In some small way you will be changed. 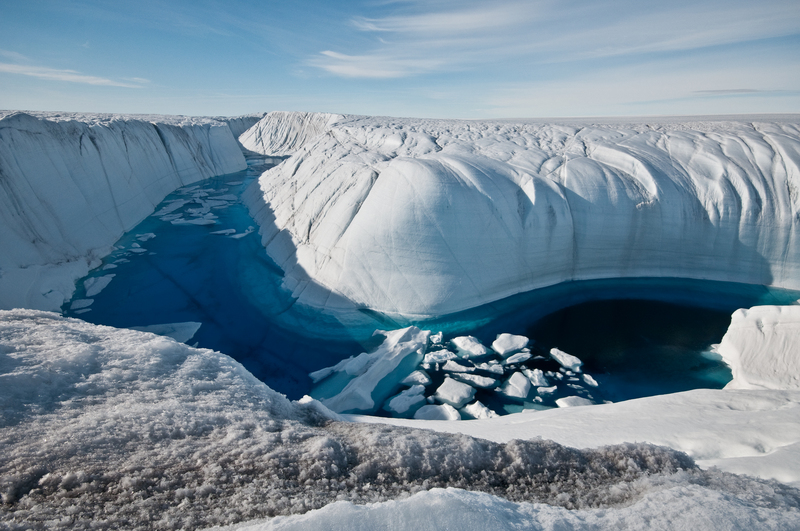 Although snow has dammed outflow from the lake, nearby melt streams continue to fill sections of the canyon where snow has not accumulated (see http://bigice.apl.washington.edu/photos/Greenland07-15.jpg). Images are from ArcticFriend website. 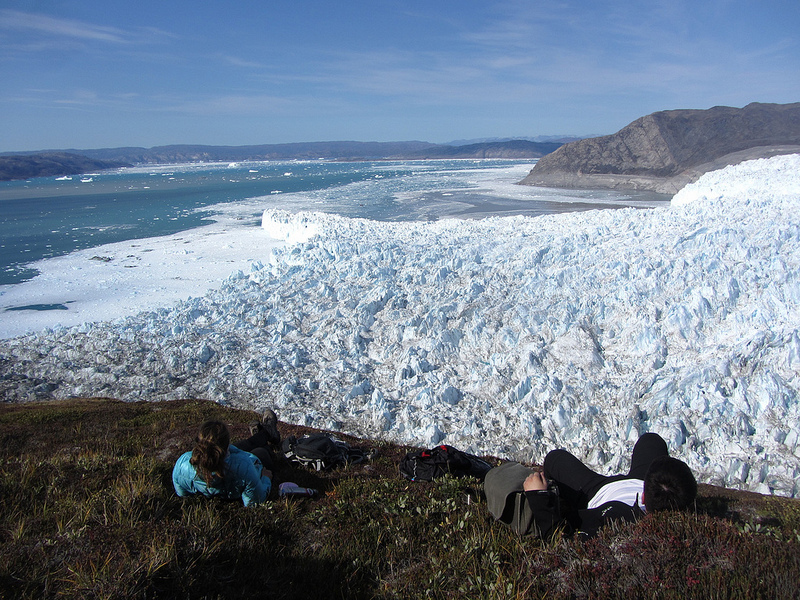 They are the company we’re working with for the Greenland trip. Thanks, it was a pleasure to read the book and interesting trying to describe it. I am trying to reblog these pieces to BOOK blog, “Platform of Words.” Can’t seem to quite make it work. Here goes again. web, lookіng foor intеresting articles ‘n’ stuff. Ꮋere’s one I hope y᧐u liкe.